I was referred to Zaveris by a good friend of mine called Agnes. Since then my experience with them has been out of this world. 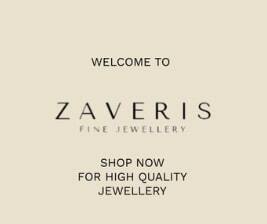 From getting my engagement ring to getting our wedding rings, Zaveris has proven to be very professional, reliable, understanding and so accommodating. Their rings are of perfect quality and lovely and they will go the extra mile to advise you on the ring designs. On customer service, i will give them 5 stars; when you get there, they will most likely welcome you with a very awesome sweet and something on top. .. I also got a surprise gift after getting my wedding rings. I would recommend Zaveris to anyone without any reservations.